In an unfortunate situation when divorce is unavoidable, it is always feasible for the spouses to sign a divorce agreement after a mutual consent on all important matters like child custody, debts, property, bank accounts, fixed deposits and all other relevant matters where mutual interest is still persisting. A professionally written divorce agreement makes all the aspects clear to both the partners, hence their remains little chance of complicacy in future. 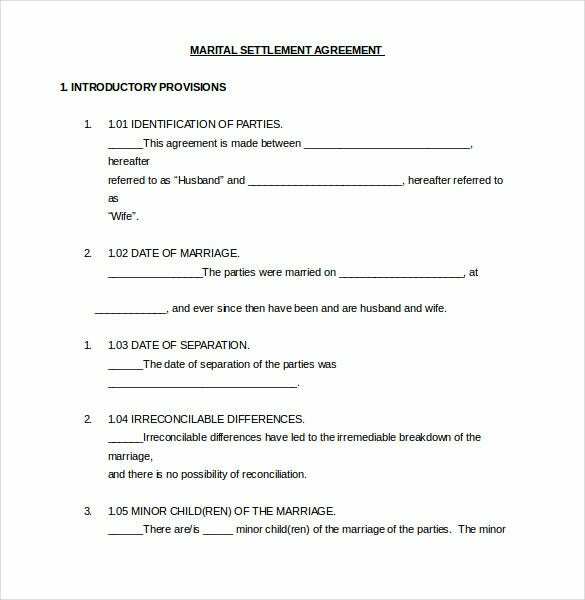 You can also visit Prenuptial Agreement Template. 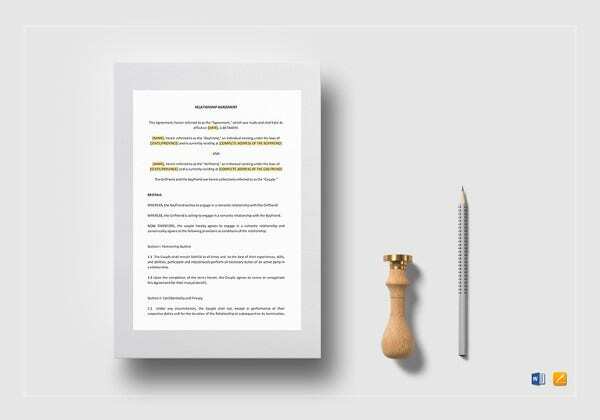 The sample and example available here are created professionally to guide people who are looking for a well documented divorce Agreement Templates that will also be legally enforceable if any one of the spouses acts against the agreement. divorceagreement.org | This sample divorce agreement form is a contract that is filled by both parties. 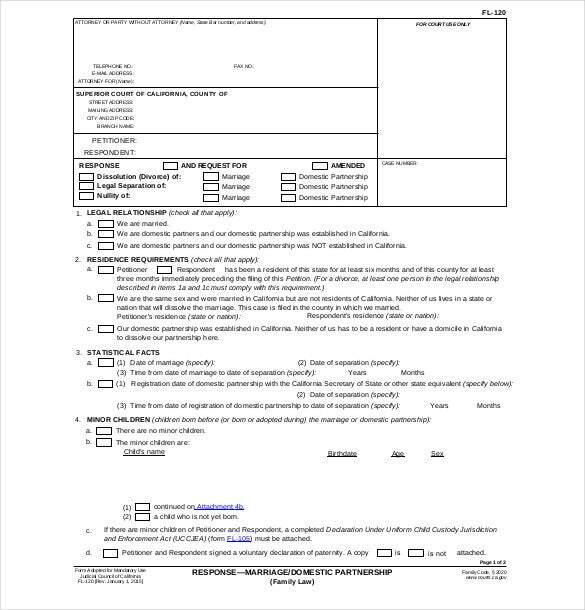 This form should be filled with name, eye color, address, occupation and other personal details presented to the court. hamilton-co.org | This is ordered by the judge after being satisfied with the reasons brought forward by both parties that led to the divorce agreement. 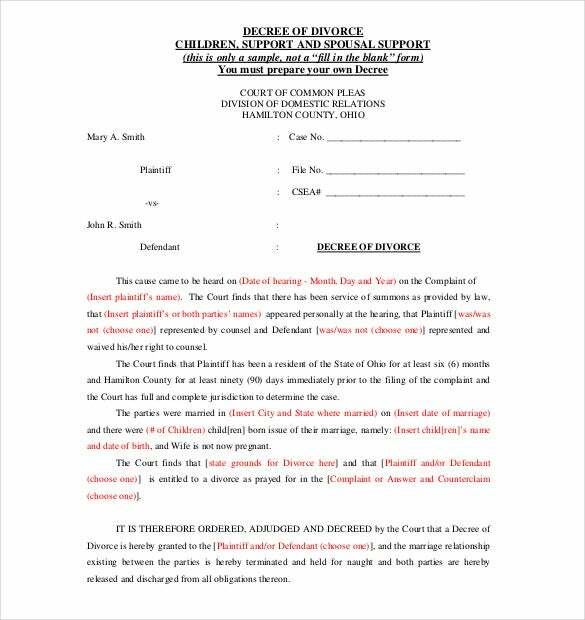 The file, and CSEA no are written and the names of the divorcees like in the example template. 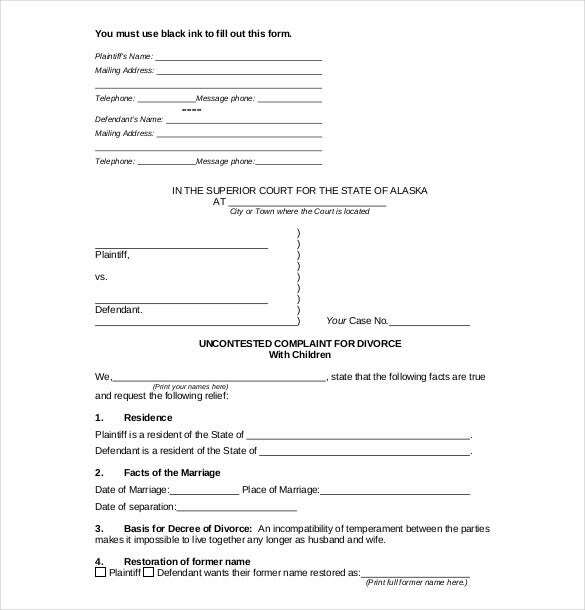 courtrecords.alaska.gov | For a divorce to go through the personal details, residence facts of marriage, basis of divorces and restoration of former name are to be considered. The sample is of basis of a divorce with children. alrp.org | This example of a marital settlement agreement is meant to settle all rights and obligation of the parties. This means filling of identification of parties, date of marriage, date of separation, irreconcilable difference and other facts. 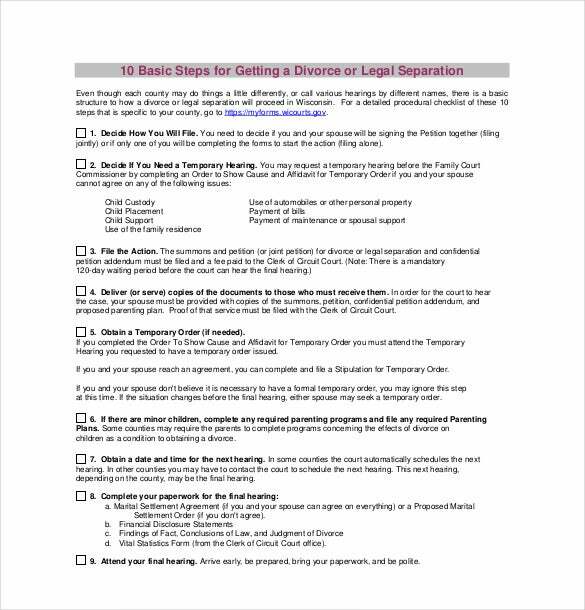 law.wisc.edu | The give sample is a guideline on the 10 steps for getting a divorce. This includes deciding how you will file, decide if you need a temporary hearing, file the action and other decisions to be made personally. 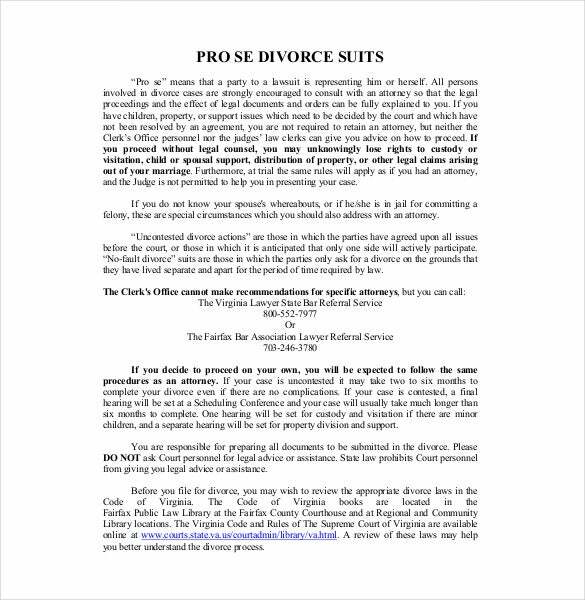 fairfaxcounty.gov | This is for people who are legally representing themselves in a divorce case. The example template gives clear details of how such a person should behave, that is like a lawyer and the disadvantage of doing so. familylaw.co.uk | The civil divorce agreement structure is not like the marriage divorce one. The sample asks for the name of both spouses, addresses, date of birth occupation and gender next the details of the marriage. courts.ca.gov | Having a good custody divorce agreement may earn you custody. The sample highlights the important issues to consider for example the legal relationship, minor children and statistical facts. 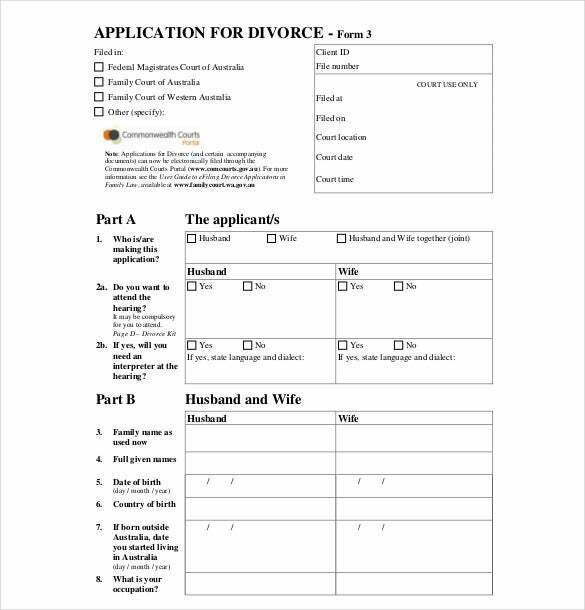 familycourt.wa.gov.au | If you are going to have a divorce it is better you know the application form looks like. 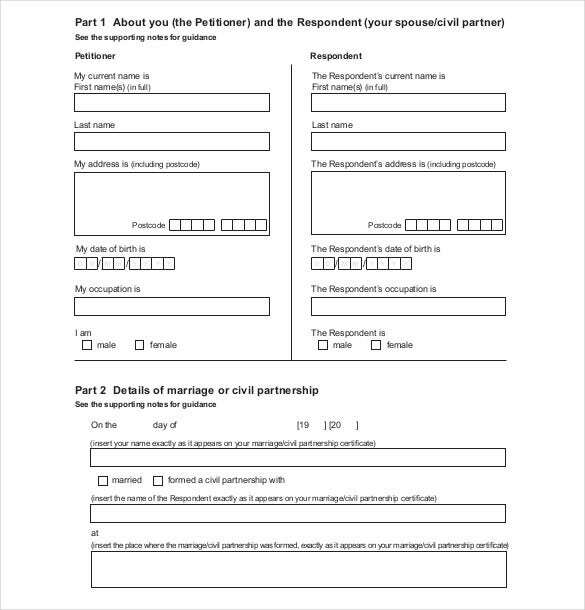 This example template has two parts of applicant and other husband and wife which are to be filled acuratly. courts.ca.gov | Settling a divorce is the hardest and crucial part of a marriage. 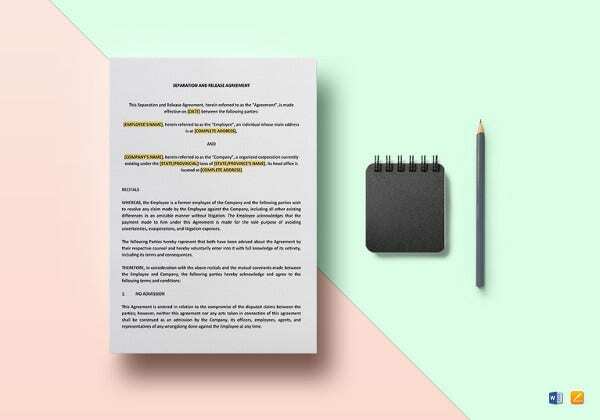 This sample makes it look easy as you are supposed to fill out the introductory provision of the agreement and submit it to the court.